The pound shed as much as three U.S. cents at one point in hectic trade, or close to 2 percent, before steadying as the results waxed and waned. Sydney: Sterling fell sharply on Friday as British elections seemed to leave no single party with a clear claim to power, sideswiping investors who had already weathered major risk events in the United States and Europe. Futures for the FTSE eased 0.3 percent, while yields on 10-year gilts dipped 3 basis points to 1.00 percent. 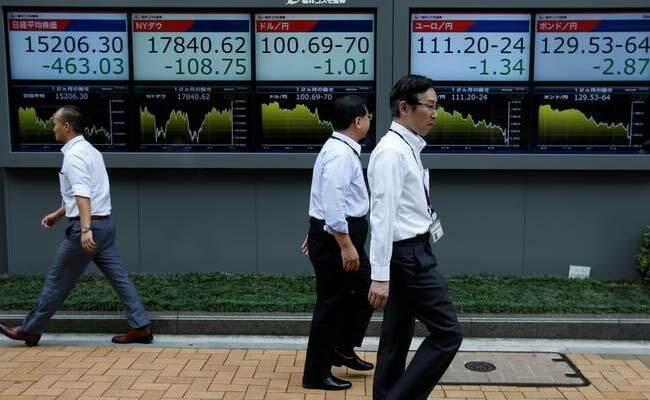 Japan's Nikkei added 0.8 percent and MSCI's broadest index of Asia-Pacific shares outside Japan inched up 0.3 percent. The rot started when an exit poll showed Prime Minister Theresa May's Conservative Party could fail to win a clear majority, a shock result that would plunge domestic politics into turmoil and delay Brexit talks. Early results showed a large swing to Labour but left the outcome in doubt, with the BBC forecasting the Conservatives could hold 322 seats. "Investment decisions are likely to be put on hold for the short to medium term -- certainly until we have clarity on who governs the UK. At that moment, that is anybody's guess." By 0150 GMT sterling had shed 1.2 percent to $1.2785, having earlier carved out a two-month trough of $1.2693. It was also down 1.2 percent on the euro at 87.59 pence. The euro had less luck against the U.S. dollar, easing 0.2 percent to $1.1193.